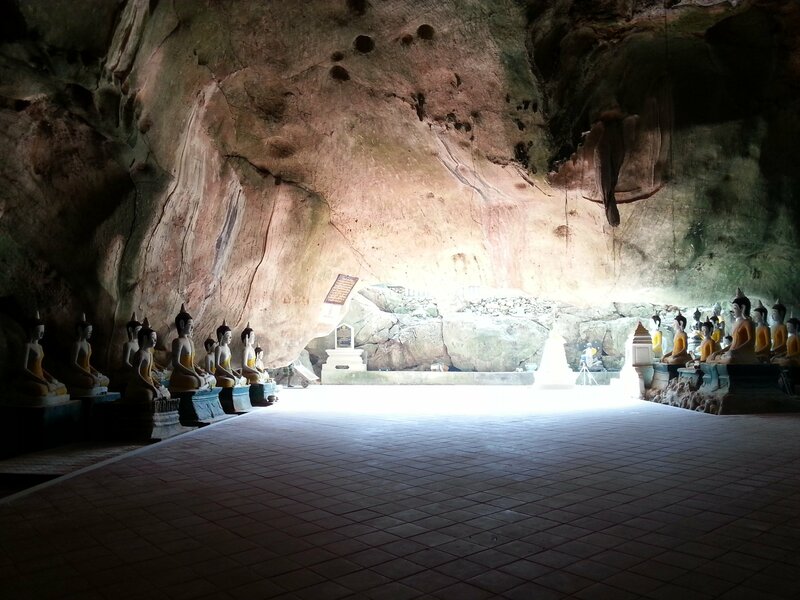 Khuha Sawan Cave is located on a hillside within the grounds of Wat Khuha Sawan in Phatthalung, Southern Thailand. 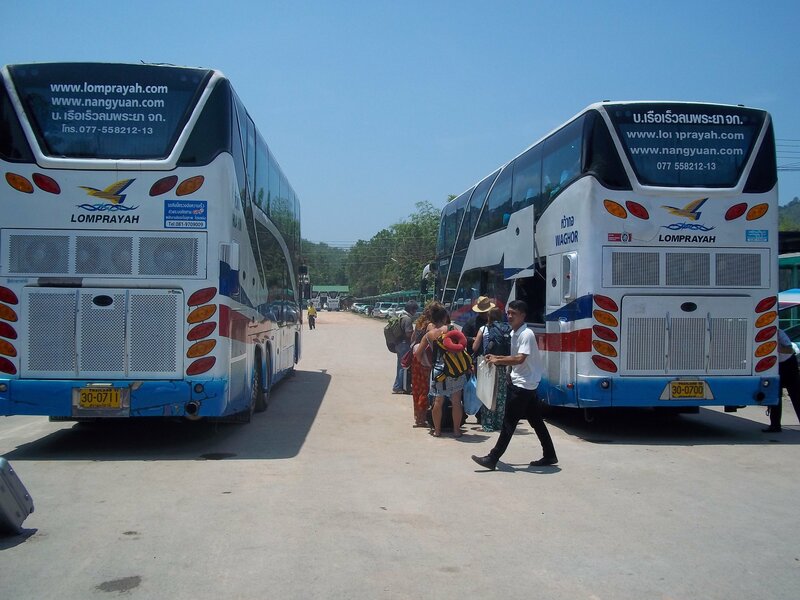 Khuha Sawan Cave is well known amongst Thai Buddhists, but receives virtually no foreign visitors and the same can be said of the town of Phatthalung as a whole. Khuha Sawan Cave is an ‘off the beaten track’ that will appeal to travellers with enough initiative to work how to get there and appetite for seeking out the more unusual things to see in Thailand. The entrance to Khuha Sawan Cave is located behind the ordination hall at Khuha Sawan Temple. When I visited in March 2019 the entrance to the cave was a bit difficult to find. The path from the temple to the cave is unmarked and overgrown, and the the cave entrance was hidden from sight by a large metal fence. The reason for this is that repair work was being done at the cave and also outside to create a better path and stairs to get to the cave. The temple clearly has plans to start encouraging more visitors to come to Khuha Sawan Cave. Khuha Sawan Cave has received a lot of visitors over the years, including several of the Kings of Thailand who have left their signature marked permanently in the walls of the cave. 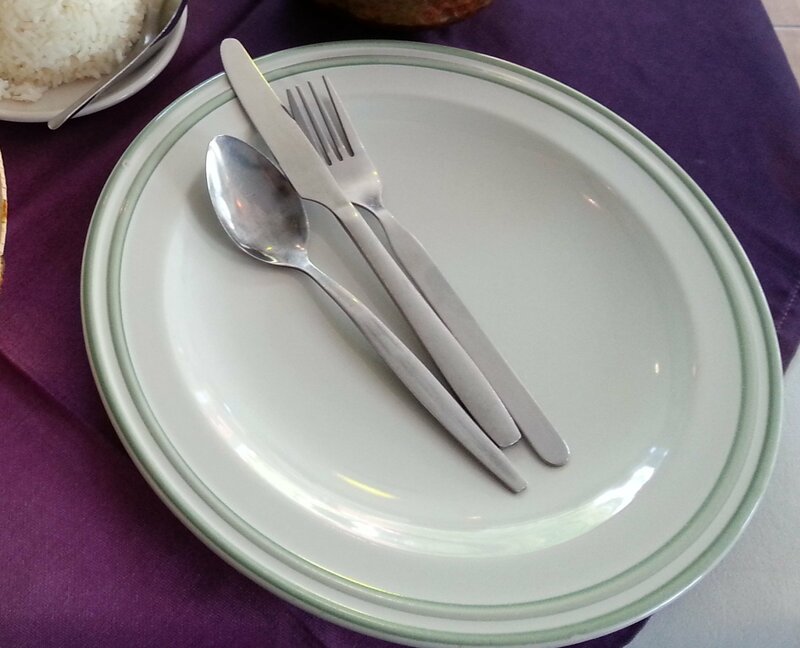 The best example of a royal signature (King Rama V) is on the right hand side as you enter the cave. The area around the cave is believed to have been in use by Buddhists since as far back as the 8th Century, with a formal temple having been established in probably the 17th or 18th Century. Khuha Sawan Cave consists of several caverns. The largest of these caverns is the one by the main entrance. 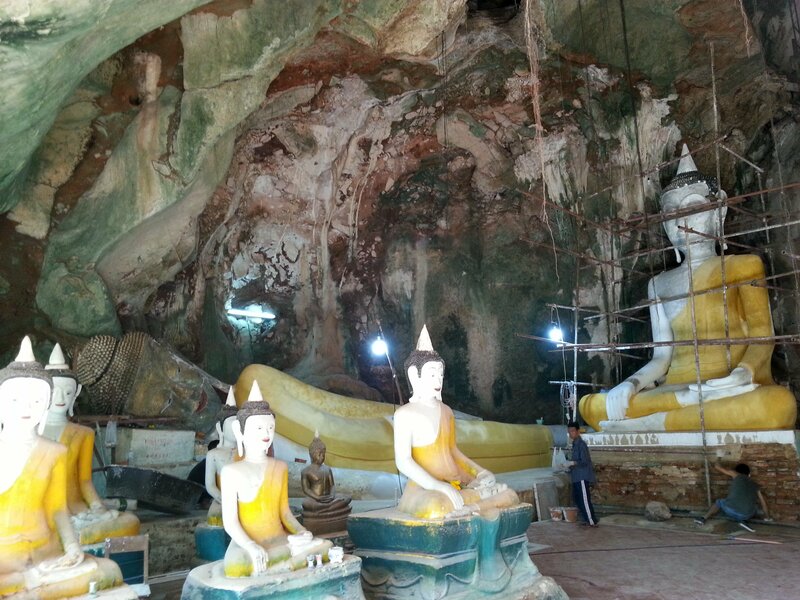 This cavern has been partly filled with lots of Buddha statues and interestingly two statues of Lersi or hermit monks near the entrance door, acknowledging the history of the site as somewhere intentionally homeless mystics formerly occupied. Lersi, also known as Phra Lersi or indeed incorrectly identified as a person called Ruessei, are men who live in wilderness and although not Buddhist, they are respected by the local communities as holy men. The Lersi tradition has it origins in India and the traditions lives on today with modern day Lersi currently wondering around the forests and caves of South East Asia practising as herbalists and natural healers, and finding their food in the forest. Beyond the first cavern in Khuha Sawan Cave is a staircase that leads down two levels to a much smaller cavern at the bottom. 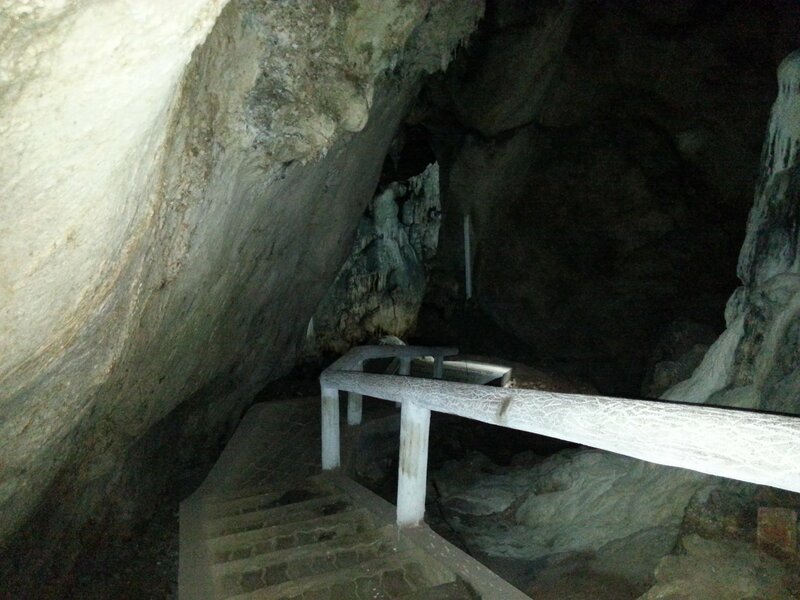 The small lower cavern is not particularly interesting, but the walk to get there is. The walls and ceiling of the cave are brightly coloured as a consequence of staining by the minerals seeping through the rock above with rain water, and there are a few stalactites and stalagmites which have formed also as a consequence of the constant drips of rainwater. 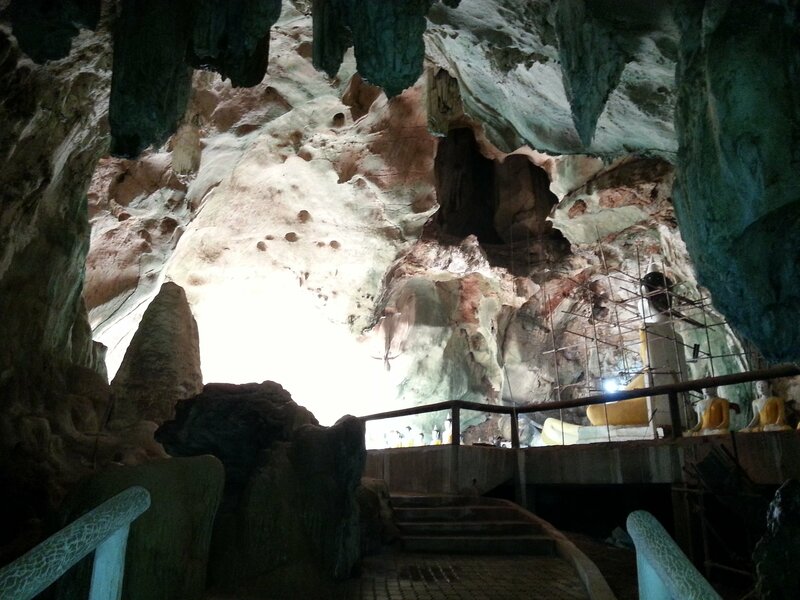 Kuhuha Sawan Cave is open during daylight hours and admission is free. Walk through Wat Khuha Sawan to get there. 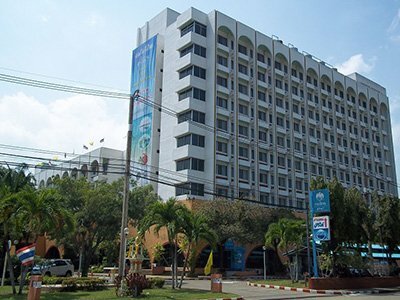 The entrance is behind the main temple building. 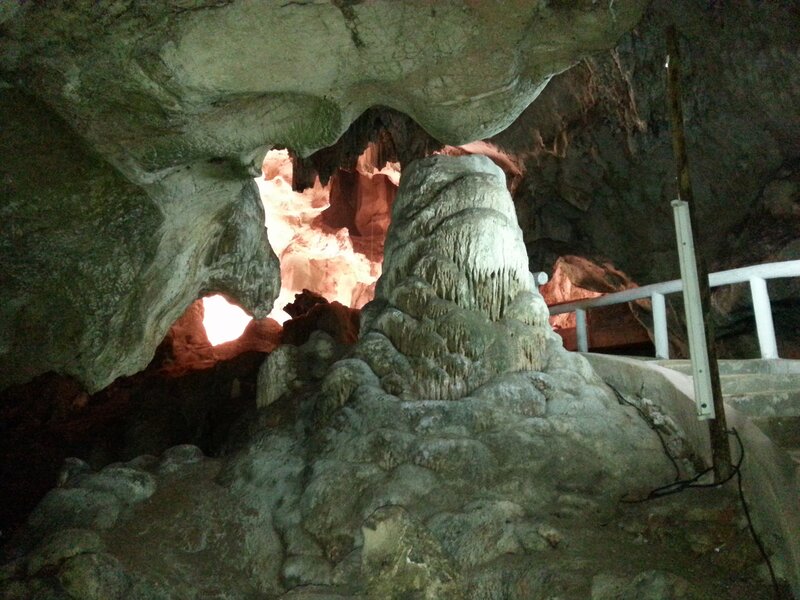 Khuha Sawan Cave is located 600 metres by road from Phatthalung Train Station.